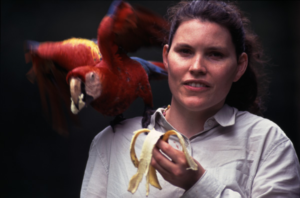 Debbie Goodrich, also known as the Parrot Lady, has had extensive experiences with parrots for over 11 years. Debbie now runs all of the Parrot Ambassador programs. 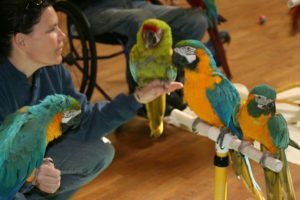 Learn more about Oly the Greenwing Macaw, Jesse the Blue & Gold Macaw, Sunny the Eclectus, and the rest of the parrots that make up the Parrot Ambassadors flock.